Ode to My Final Adventures in Copenhagen…It’s been a couple months since my adventurous semester abroad came to an end, but I would like to share with you those last memories. Oh dreadful and stressful week of finals…completed with a bam! Dierdra, my most spectacular younger sister, traveled to Copenhagen and arrived on the day of my last and final exam for DIS. My host mom and I greeted her bright and early at the airport, and we were pleasantly surprised by the additional company of Richie and his Danish friend Philip. You should have seen Dierdra’s face as she walked through the gate. She wasn’t quite sure who the young guys greeting her were exactly, but she did enjoy it. Thanks Richie! Finals…Do I need to explain the sour face? I took her out that night to meet my good DIS friends, Alisha and Richie. 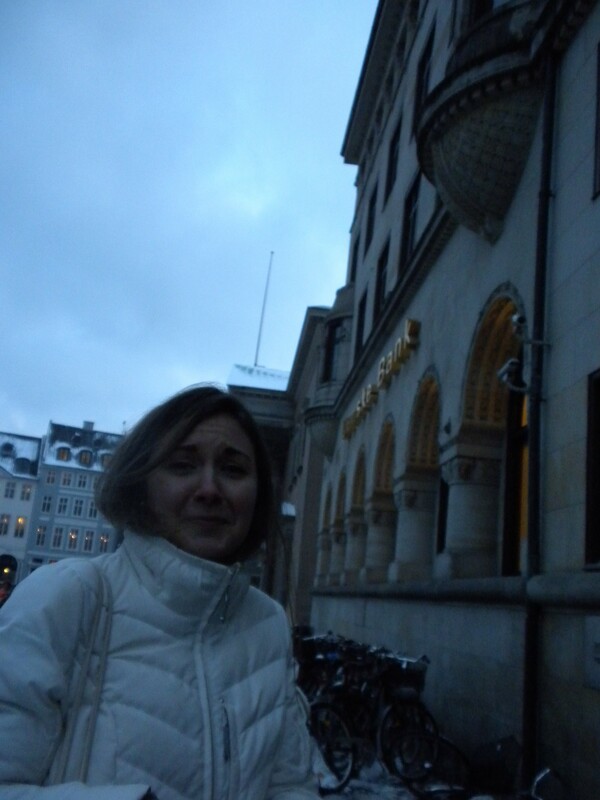 She couldn’t be in Copenhagen and not experience the night life. It was a good ol’ time. 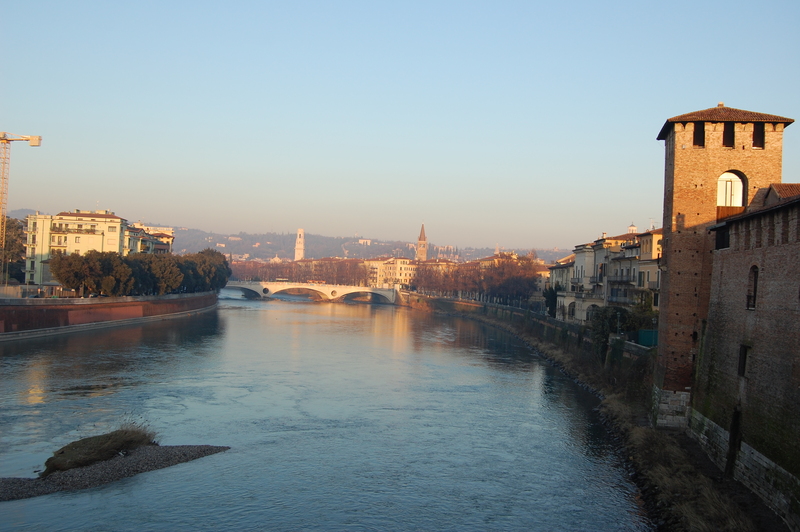 Our expedition to Italy began the very next morning. Our first stop: Milan. We loved the city. It was huge, diverse, historical, and beautiful. Our favorite part, though, was probably our airbnb stay. We stayed with a nice Italian woman, Elisabetta, and her family. The sons (probably in their mid and upper twenties) invited us out to an English pub (yes, an English pub in Italy). But, I’ve got to tell ya. That was one of the most cultural of all of our experiences. We had real conversations with real (good looking) Italian men. 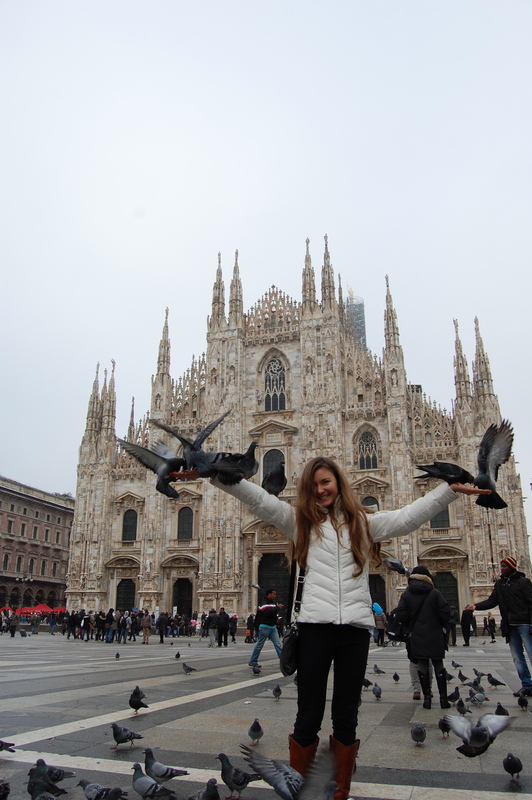 The next morning we sought out delicious, fresh crepes and walked to the Duomo of Milan, the fifth largest cathedral in the world. We must have been two of those obvious tourists because we were immediately flocked by merchants or hagglers or whatever the politically correct term is. Quite literally, too. 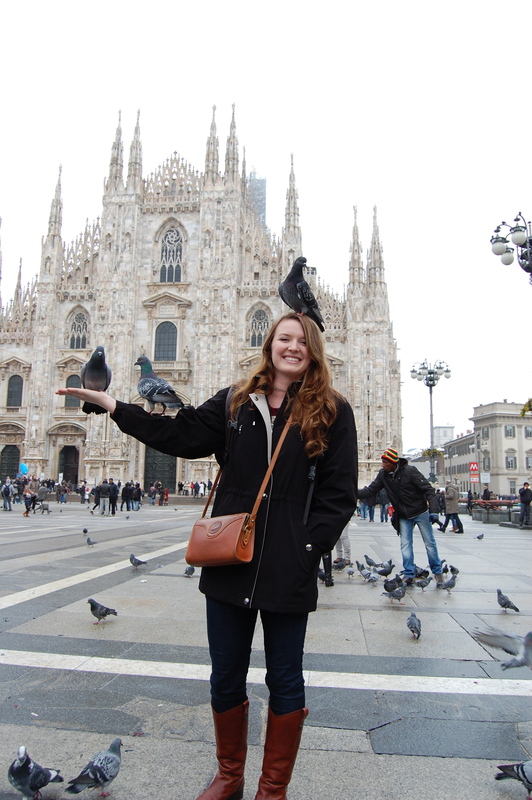 They put dried corn kernels in Dierdra’s hand and the pigeons came soaring. At least we got some pretty cool pics. We took a late train to the floating city, Venice. And our hotel was amazing! 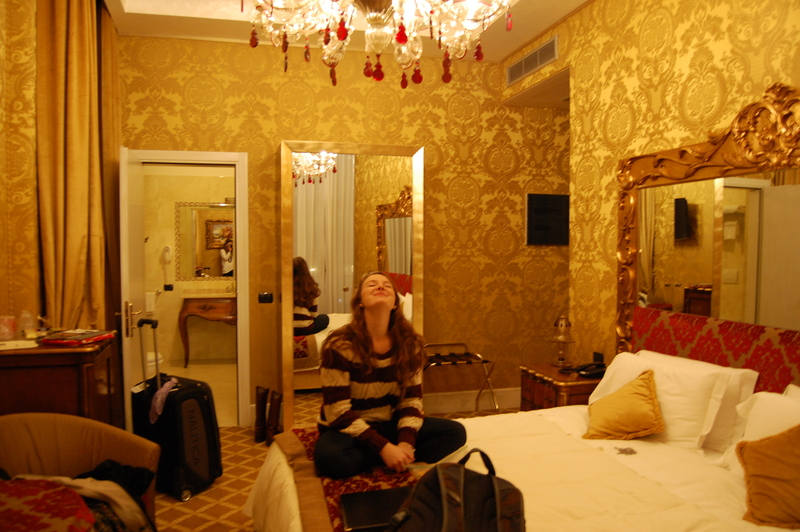 We felt like princesses at the Pesaro Palace Hotel. I was worried that it would be raining and that most of the walkways would be under water, but Venice was spectacular. Just how I expected and so much better. 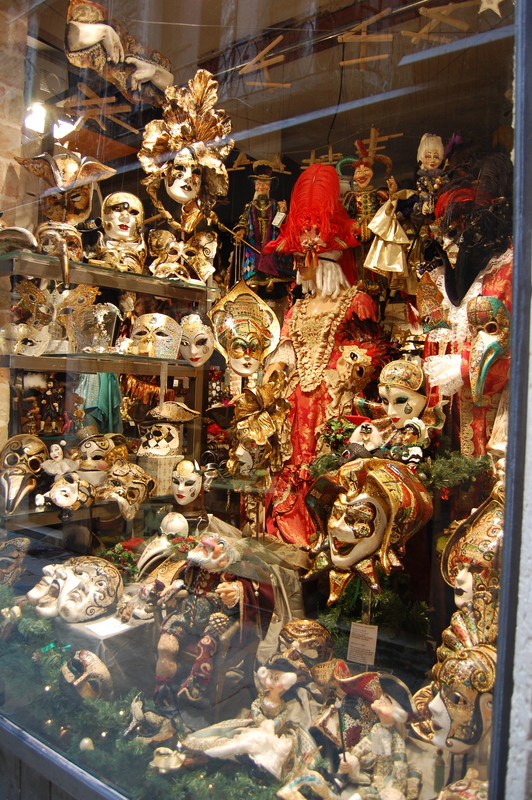 We saw how Venetian masks were made (and we bought one), we drank wine and ate good food, and we met some more Italian boys. We must be quite the pair of sisters because we were surprised with two complimentary bottles of champagne at this quaint little Italian restaurant. At first, our waiter thought that we must have been a couple in this little romantic city. And then Dierdra mentioned that we were sisters…thus began the wild flirting, free champagne, and slices of Bauli Panettone (Italian Christmas Cake). We were really the princesses of Venice that day. And after all that champagne and fun, we took a nice gondola ride through the canals. Gondola rides are fun and definitely worth trying once, but they are extremely expensive if you wait to go in the evening. We paid 70 euro for a twenty minutes ride! Phew, Venice put a dent in wallets for sure. And to top it off, I left my bag of souvenirs in the gondola that night, so Dierdra and I went on a treasure hunt the next day. I pretty much accepted the fact that we probably wouldn’t see that beautiful Venetian mask and bracelet again. But we did! 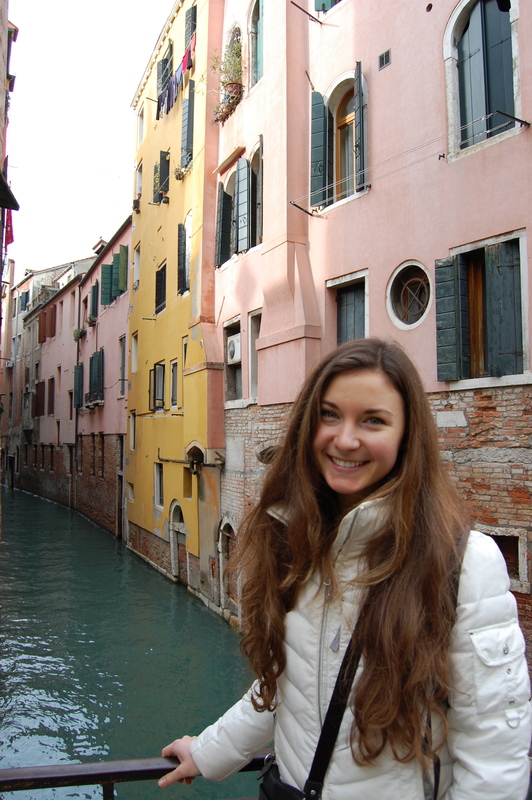 We recruited the help of a very kind jewelry/glass shop owner (key note: she spoke impeccable English) and tracked down our gondolier and the company he worked for (which was far from easy by the way…Gondoliers move locations everyday and sometimes only work a couple days a week). Venice proved to be quite an adventure, and I think we experienced the city in a way uncharacteristic of the typical tourists! 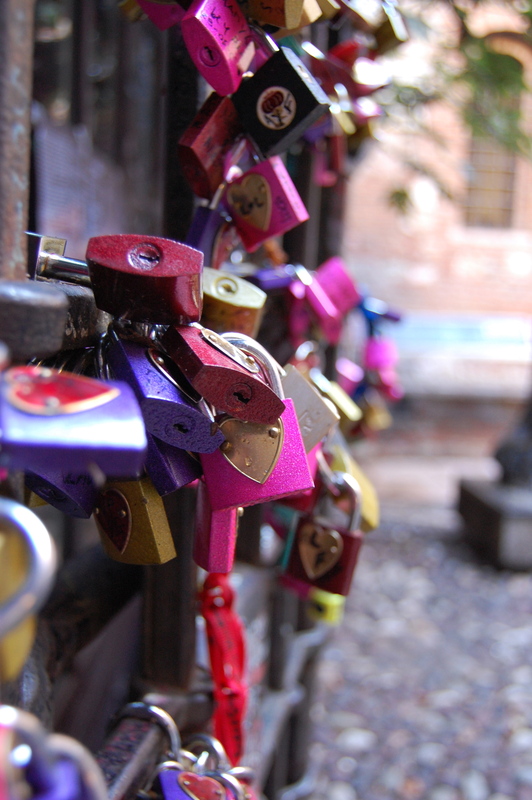 Oh Sweet Verona…City of Love…and Romeo and Juliet. 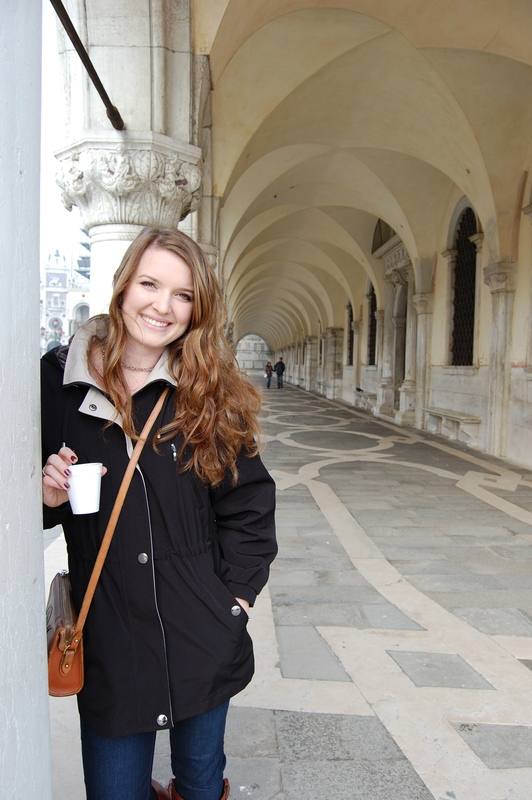 Verona is beautiful and full of storybook sites to stumble upon. Dierdra and I took a train to the city and stayed in a quaint, little bed and breakfast. 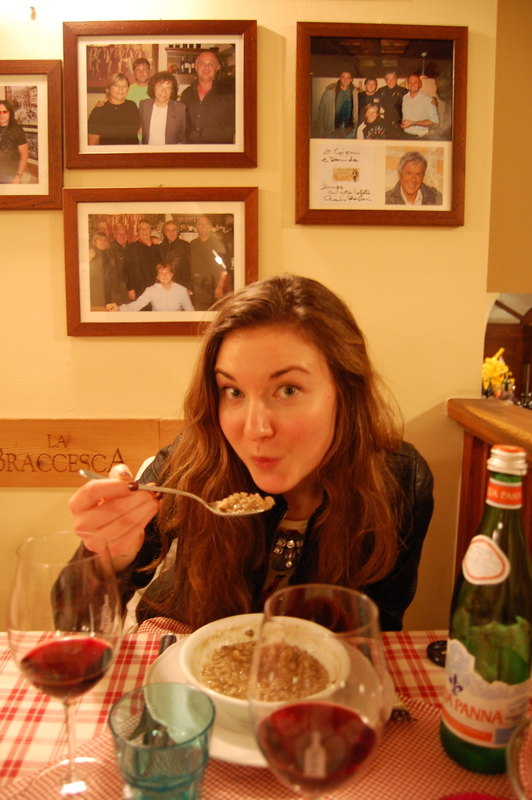 We were only there for one day, so we decided to have a nice dinner at Osteria Giulietta e Romeo. This place had FANTASTIC true Italian food. We had multiple courses, starting with buttery, barley soup for me and delicate pumpkin-filled ravioli for D. Our entree consisted of pan-fried chicken with green beans. And we finished with a lovely dessert dish, frozen cream with chocolate drizzled on the top. Yummy! And this was all paired with a house red wine. We left the restaurant happy campers…and we smelled like Italian food for the remainder of our journey! Now, I must add that I slept HORRIBLE that evening. Not because of excitement for our following day’s adventures, or because I was so full from good Italian food. No, it was because some-restless-body felt the urge to walk around in some sort of tap shoe (it must have been, it was so loud) directly above my head in the story above our room. OH MY GOSH!!! I mean, it was 1 am and then it was 3 am and 5 am. The random clod-hopping around never seized. So, I was extremely exhausted the next day…but I didn’t let that ruin it for me. 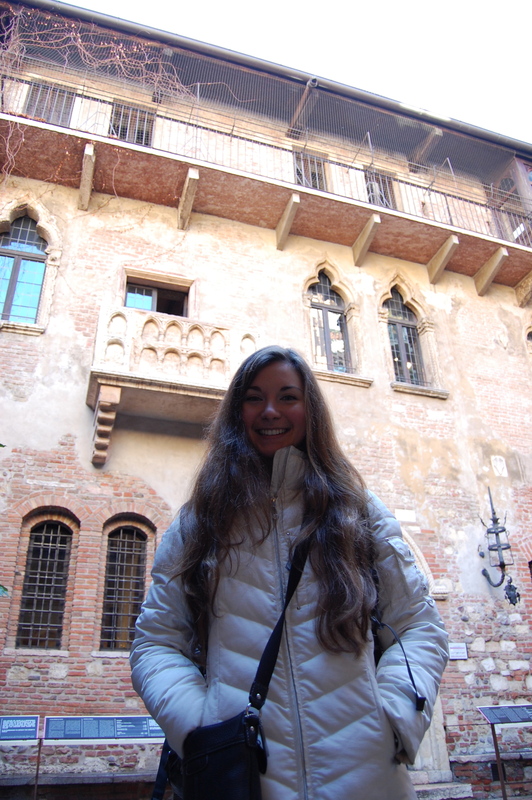 We got to see Juliet’s house and her balcony! Tourists flocked to this infamous site, so it was crowded, but definitely worth seeing. And then, we decided to just wander around the city and discover it for ourselves. There was just so much to see. We walked around with warm, sweet wine in hand. We loved it! 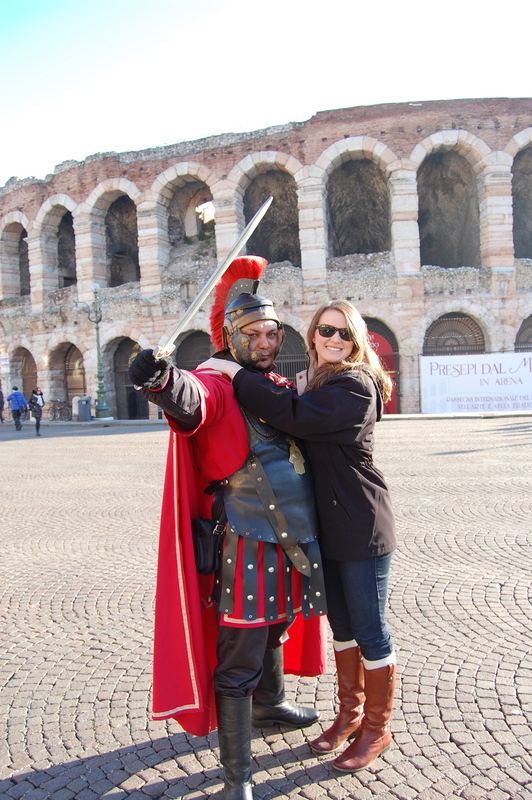 Has Miss Dierdra met her true Gladiator? This was just an intermediary stop on our way back to Copenhagen. We took a train back to Milan, and then an airport express train to the airport, and then waited for a hotel shuttle to take us to a nearby hotel. We finally made it by 1 am or so….only to leave for the airport again at 5 am. 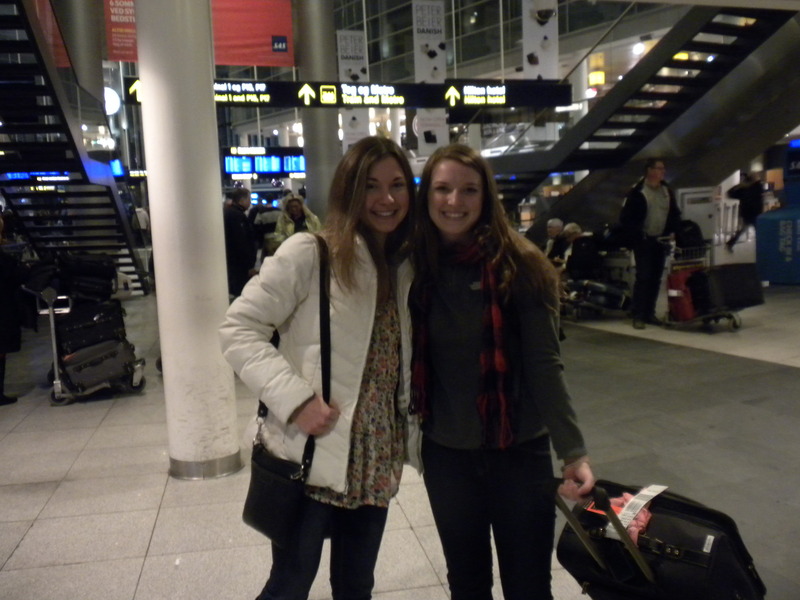 Haha…it was a whirlwind adventure, but we were happy to be back home in Copenhagen. 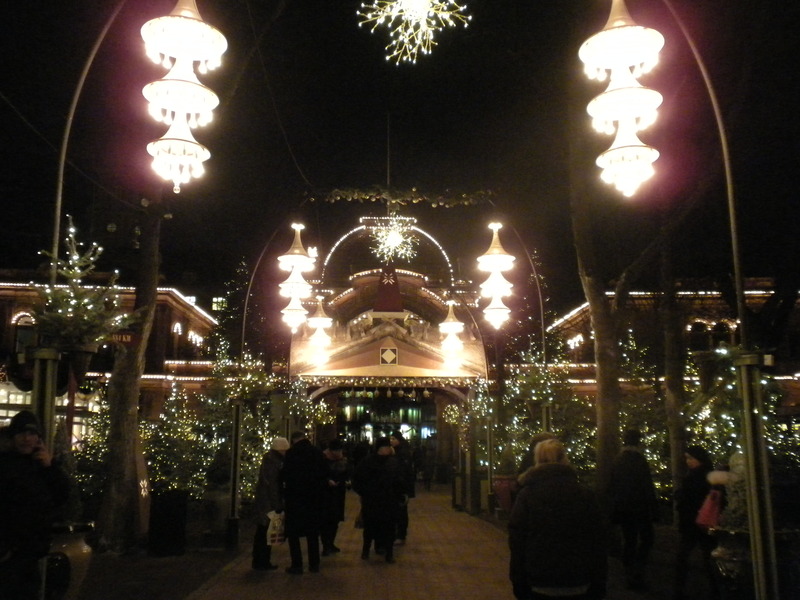 The evening we returned to Copenhagen, we planned to go to the ancient amusement park, Tivoli, with my entire host family. Everybody was so excited for this! The park was officially opened in 1843, so you can imagine its rich history and significance in Copenhagen. The park opens for a period during the Christmas season for visitors to enjoy the beautiful Christmas decorations and exciting festivities, as well as to ride the adrenalin-inducing roller coasters! Christina, Casper, Dierdra, and I decided to ride the park’s best known roller coaster first, the Rutschebanen, a wooden roller coaster built in 1914 and opened in 1915! There is something fascinating and exciting about wooden roller coasters. You get that vintage, nostalgic feeling. The most thrilling roller coaster of all, and one of the newest park additions, was the Dæmonen (The Demon). 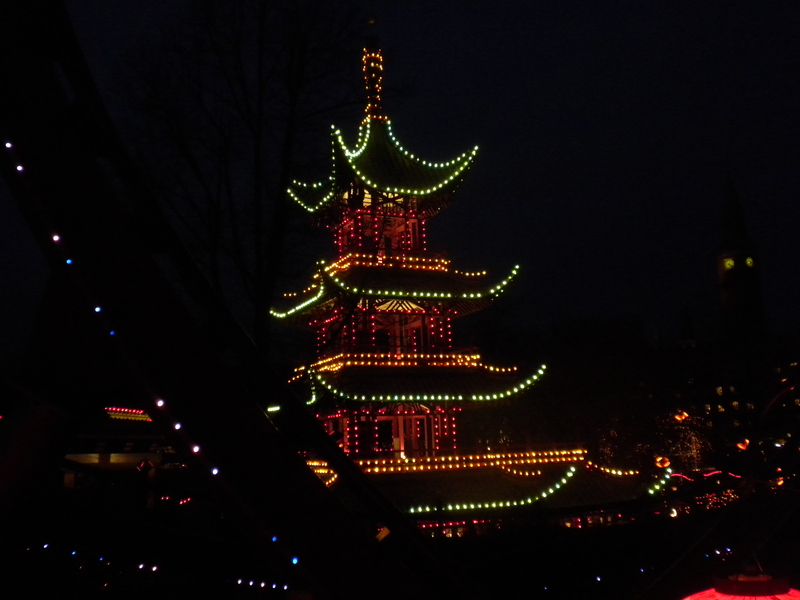 It was basically a chinese dragon with whirls and loops and sharp turns…so much fun! And our success of the evening…we encouraged Casper to join us on this intimidating ride! At first, he was a little apprehensive about joining us, but finally he joined us for his very first “scary roller coaster” ride. Such a memorable moment. And I can’t forget our spectacular feast! Jesper and Birgette took us out to a fancy restaurant, called the Madklubben Grill, situated in the middle of Tivoli. They served traditional Danish food with a creative, artistic twist. We had fancy liver patte, delicious dark, rye bread, roasted duck, buttery fish, and oh so yummy chocolate mousse. Fantastic! Thank you so much Jesper and Birgette! And the bitter sweet ending draws near… my final day in Copenhagen approached all too quickly. 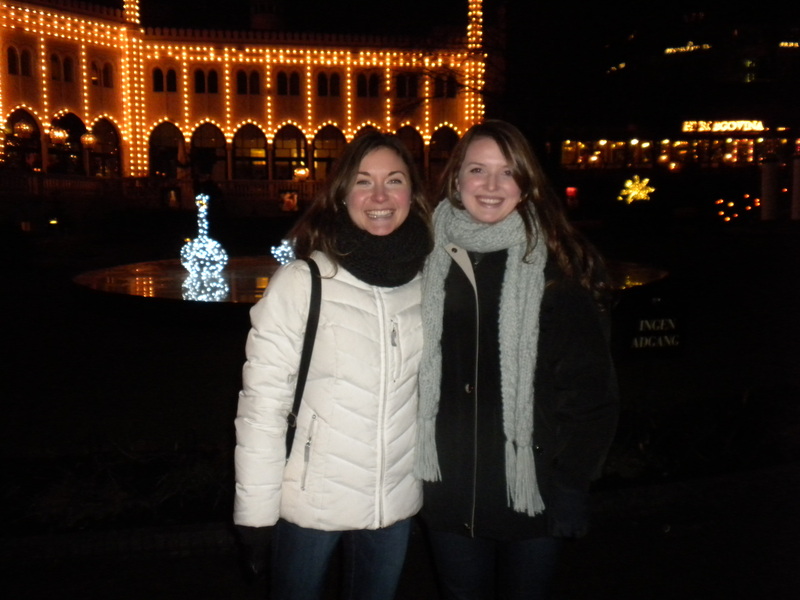 Dierdra and I braved the busy shopping streets of central Copenhagen, searching for those last minute Christmas gifts. Yes, we did buy some very cool Danish memorabilia (clothes, purses, shoes….you know how that goes), but we also ran into some charming Abercrombie and Fitch models who were just dying to take a picture with us. Okay, maybe it was the other way around, but hey, we found us a beautiful Danish man in the process! The remainder of the day was reserved for packing. And let me tell you, I am forever grateful that Dierdra brought some extra luggage space with her, because I definitely needed it. I think it’s a cardinal rule that you must return from Europe with more than you left with. And I followed that rule all too well. 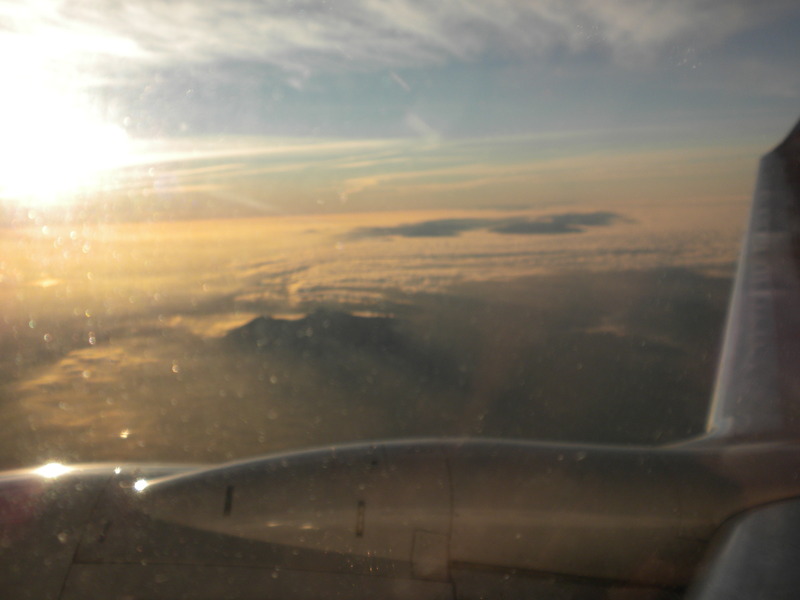 The next morning marked the day of my departure. I cannot express in words how much I am grateful for my experience in Copenhagen with such a remarkable and kind host family. Jesper, Birgette, Christina, and Casper will forever be in my heart, and I will definitely make an effort to see them again! 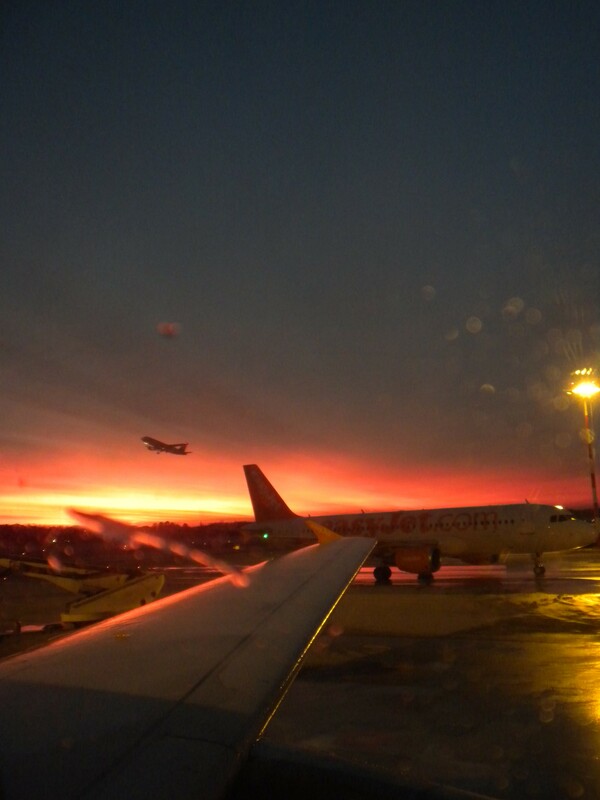 Flight SK565 December 24, 2012. My return home begins. From this moment on, I will share my experiences and memories with my friends and family of the home front. Dierdra gets to enjoy one lovely night at the airport Hilton Hotel before she can return. Fine dining and limitless OnDemand will keep her occupied until then. Copenhagen, I will be back. 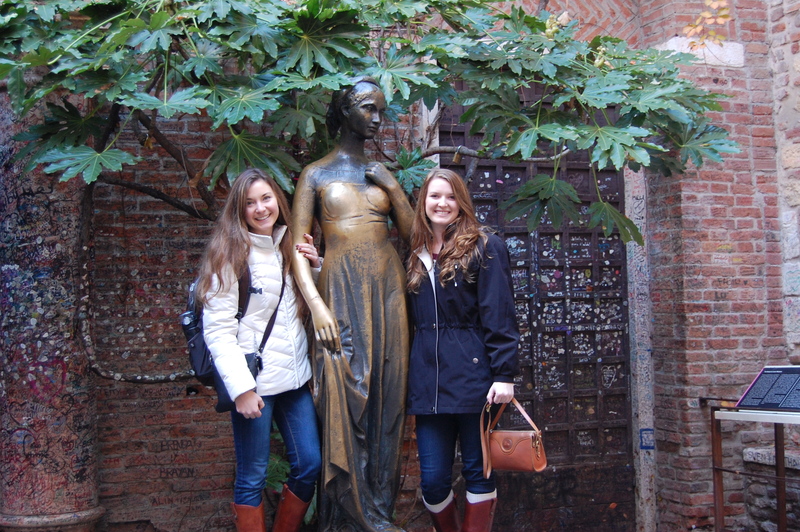 To see more pictures from our adventures, visit the “Sisters in Copenhagen and Italy” album. © All images property of teawithbri.com. Please do not use without permission.